Support the Noche de Niños Toy Drive - now through Dec 12! 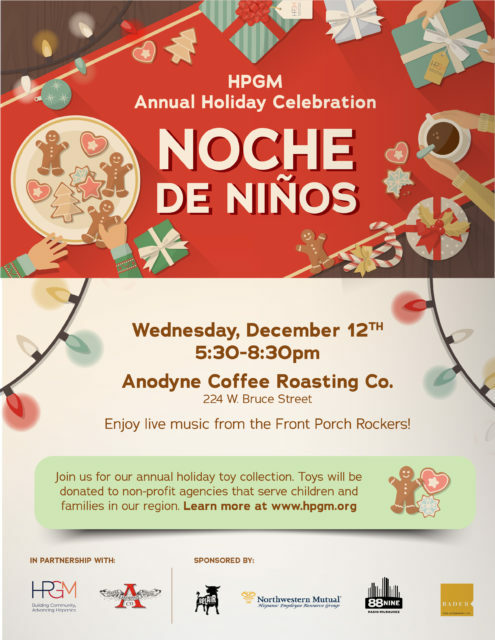 Support the Noche de Niños Toy Drive – now through Dec 12! Join Radio Milwaukee and the Hispanic Professionals of Greater Milwaukee to spread holiday cheer with the annual Noche de Niños toy drive and event. Last year, thanks for your generous support and the support of our partners and sponsors, we collected more than 1,500 toys for organizations throughout our region!